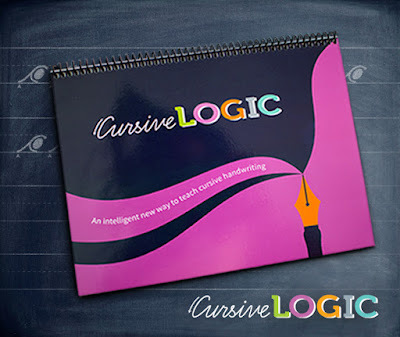 Have you struggled to teach your children to write cursive or are you looking for a way to begin to teach them cursive? If so, you will definitely want to check out this new and simple CursiveLogic Workbook designed by CursiveLogic. CursiveLogic comes in a 96 page sturdy spiral bound book that currently retails for $29 and comes in full color. It is made in landscape style so the binding does not interfere with the writing. It is a consumable workbook so you will need one for each of your children but. 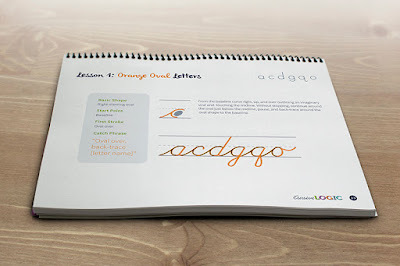 At the end it includes several dry erase pages that are perfect to continue your cursive practice. They also offer additional practice pages by email as well. It offers a very unique teaching method that differs greatly from your normal copywork type of program. Letters grouped by shape: Four basic shapes make up the entire alphabet. 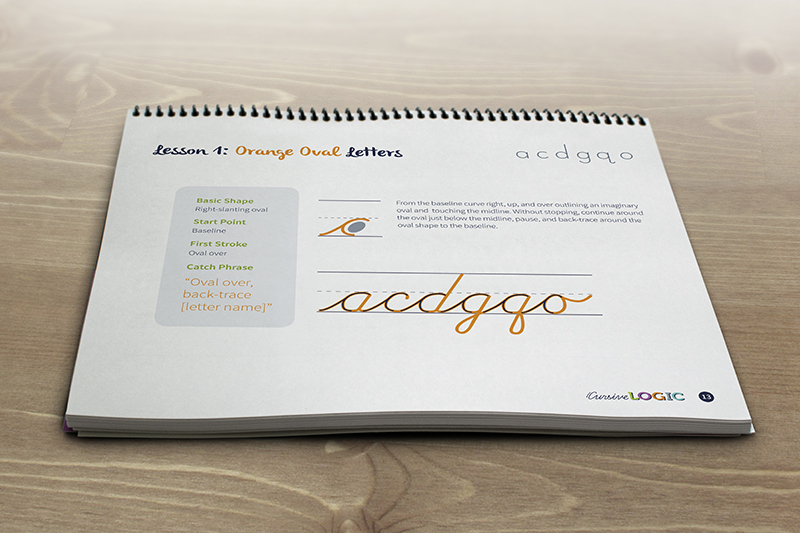 CursiveLogic teaches all of the similar letters in one lesson, greatly simplifying the learning process. Letter strings: Rather than teaching letters individually, CursiveLogic teaches all of the letters that share a common shape in a connected string. This allows the letters to reinforce each other and means students are writing cursively from the very beginning. Color coding: Each letter string has a theme color that helps students remember the shape. Catch phrases: CursiveLogic uses “verbal task analysis,” or saying an action verbally as it is performed manually, to aid the development of muscle memory and to give students a mnemonic they can return to over and over. Having children who have come from a public school background, I can tell you that teaching cursive writing is becoming somewhat extinct. I knew right away that I wanted to teach my children cursive because I still find it to have a very valuable place in our society today. So we set out and did copywork sheet after copywork sheet while they were in the elementary grades and then we just kind of dropped it once they reached their middle and high school years. Time and time again, I have seen each one of them struggle to write and read cursive in the later years. I used this workbook primarily with Sarah, who is 11, and in the 6th grade. It was the perfect reinforcement that she needed and takes very little time and effort each day to complete. We found that Sarah was making her cursive letters but had completely began the habit of starting the letters in the wrong places so when she connected them together, it didn't look quite right. This is a time for you to sit with your child and correct any of those bad habits that they may have formed already. Once we got past that, she found the process to flow so much easier than what she had been doing. She was able to make her words more quickly as well and really felt that she had a better grasp on cursive writing. I plan to purchase 2 more for my high school boys for the upcoming school year as well so we would highly recommend this to beginners as well as those who might need to brush up on their cursive skills. You can find out more about CursiveLogic on Twitter, Facebook, or Instagram.